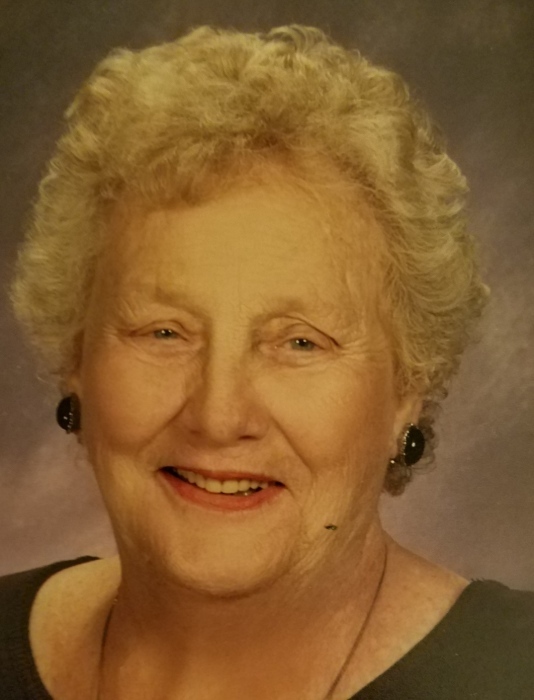 Mary F. Friedel, 89, of Auburn passed away on Tuesday Nov. 13, 2018 in the Commons on St. Anthony with her family by her side. Mrs. Friedel was born in Seneca Falls, NY the daughter of the Late Charles and Catherine McDermott Phillps. Mary lived most of her life in the Auburn area. She was a past employee of the Big Store in Auburn and was a communicant of St. Mary’s Church. Mary was an avid bowler and tennis player. Mrs. Friedel is survived by her children, John Friedel (Joanne) of SC, Thomas Friedel (Jeanne) Auburn, James Friedel, Arlene), GA. and Kevin Friedel (Kim), GA. Cathy Howard (Ernie) of Syracuse. One brother Charles Phillips (Mary) of Auburn and one sister Jeanne Tarby of Auburn. 10 Grandchildren and several Great -grandchildren. including several nieces and nephews. Mrs. Friedel is predeceased by her parents and her husband Jack in 2004. A Mass of Christian burial will be offered in St. Mary’s Church Friday Nov. 16, 2018 at 11:00 a.m. Mrs. Friedel will be laid to rest next to her husband in St. Joseph’s Cemetery. Family and friends are invited to call on the family on Thursday Nov. 15, 2018 from 4-6 p.m. in the Heieck –Pelc Funeral Home, LLC 42 E.Genesee St. Auburn, NY. Family has requested in lieu of flowers contribution can be made to the American Cancer Society 6725 Lyons St. PO Box 7 East Syracuse, NY 13057 in memory of Mary Friedel.